After playing with the new Goblins Vs. Gnomes cards in Arena I’ve determined some of the better ones. While the Bomb Lobber has absurdly low stats for its cost, the battlecry is just insane. In Arena the 4 damage is basically guaranteed to kill a minion. And after the battlecry the Bomb Lobber can still trade with most 2 or 3 cost minions. So let’s say you play the Bomb Lobber. His battlecry destroys something. Then next turn you attack and he takes out a 2/3 minion of your opponent’s. 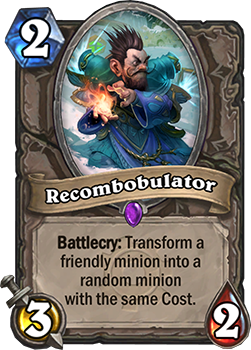 THEN you hit him with the Recombobulator! This one’s kind of complicated, but the Recombobulator changes a Bomb Lobber into any other 5 mana cost minion card. Could be a Spectral Knight. Could be a Stranglethorn Tiger. It can even be class minions such as a the towering colossus that is the Shaman’s EARTH ELEMENTAL! 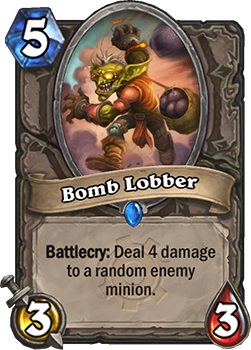 Now the Bomb Lobber that already created a card advantage of two for you is a 7/8 with taunt. Recombobulator is insane in decks with strong battlecries. 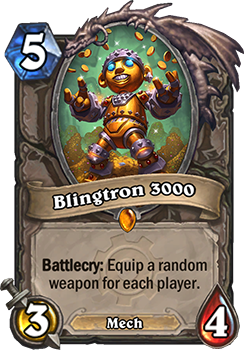 I suspect a nerf incoming on the Recombobulator so that his target is random like Tinkmaster Overspark. If he’s kept as is… People might start playing Nerub’ar Weblord to counter the battlecries. 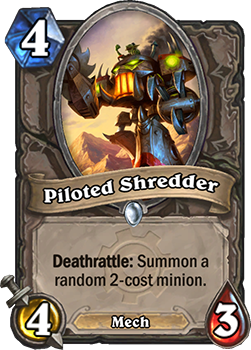 And the final card I’d like to talk about isn’t necessarily good in Arena, but it is hilarious. I present to you, Fel Reaver! So 5 mana for an 8/8 puts it in competition with the other giant cards. Fel Reaver is different because it’s ALWAYS discounted. But it comes with a penalty. A pretty significant one at that. Usually within two or three turns of playing him you will be out of cards. 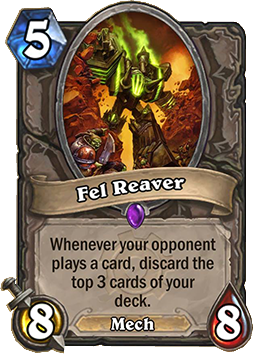 Fortunately, Fel Reaver does not actually draw you cards, so the activation of its effect by itself will not deal you fatigue damage, but it does put you on a timer with just the cards in your hand to beat your opponent with. The card has mixed performances. I put together a deck to try it out and uploaded the games to Youtube with the title Fel Reaver Concept. 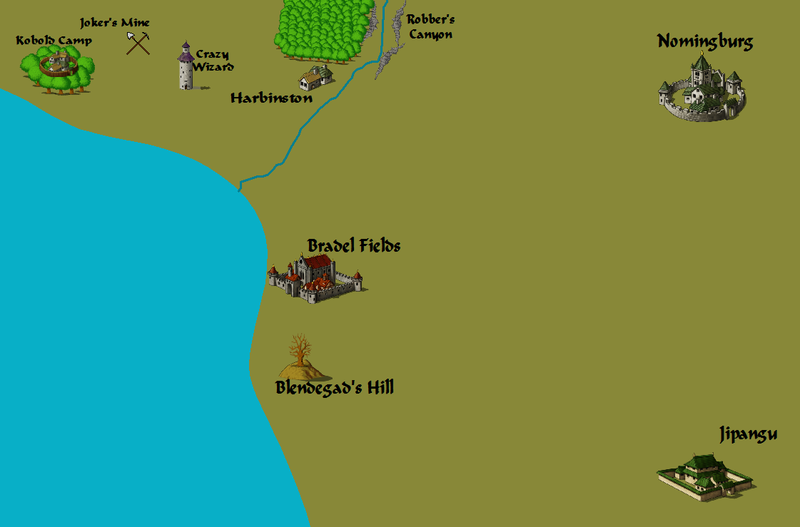 You can check it out for yourself and tell me what you think. I like the card a lot, but is it competitive? We’ll have to wait and see. With Bouncy, Flouncy, Fun, Fun, Fun, Fun, Fun! 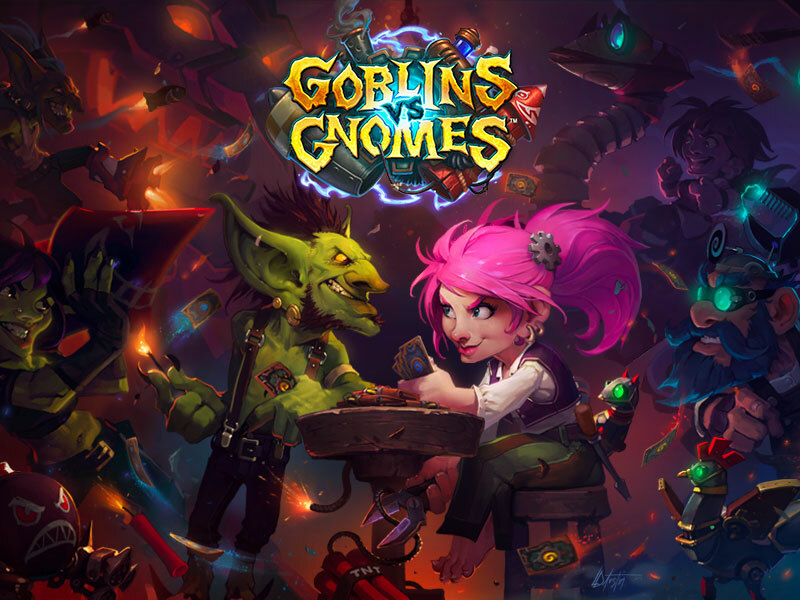 The new Hearthstone expansion, Goblins Vs. Gnomes, comes out on Monday and I’m super excited! 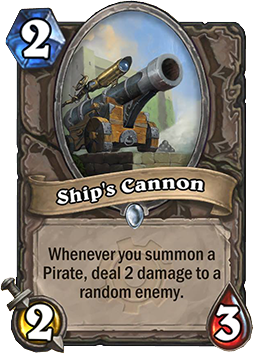 If you’ve been keeping up with Hearthstone news then I’m sure you heard that the new expansion has two themes, mechs and randomness. Blizzard is also giving everyone a free test run of the cards in Hearthstone’s Arena format. Everyone gets a free Arena run! 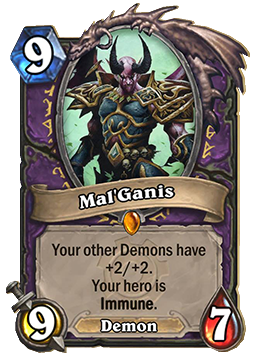 The GVG cards are mixed in with the older cards, just like they did with Naxxramas. I did my free run today and drafted a rush style mech warlock deck. 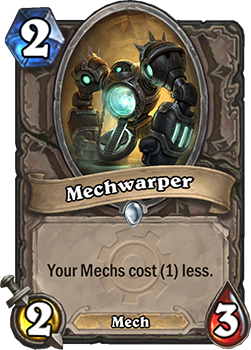 The Mechwarper up there was a key part of the deck. And after Turn 4 my opponent surrendered. Mechs are crazy! 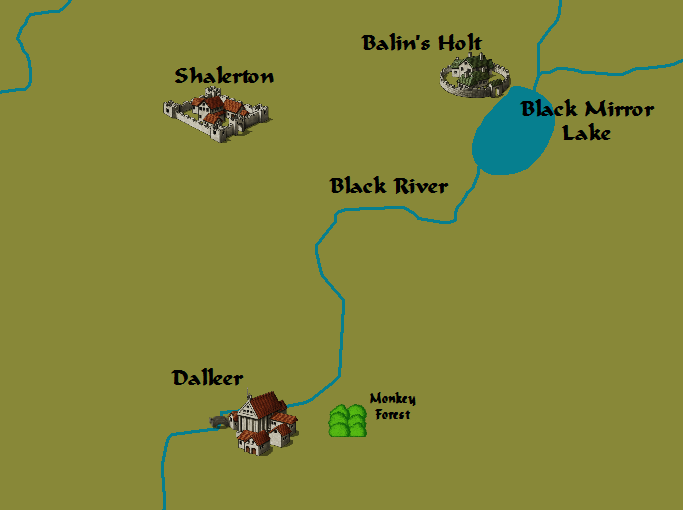 Before you get all excited to play on Monday I should remind/warn you. Blizzard has a tendency to announce that an expansion will come out on a specific date and then release it at 11:59PM Pacific time on that day and still claim they released it on time. This is technically true but it still leaves a sour taste in my mouth. Anyways! Lots of new cards to try out! Fun to be had! Even a new game board to mess with which includes an aimable lazer gun that you can shoot your opponent with, a rocket, bombs, and a transmogrifier! Sweet!